There are several open positions for graduate students and postdocs. I am looking to hire highly motivated candidates with a strong background in statistical signal/image/information processing, computational modeling, machine learning, or computer vision. If interested, please contact me by e-mail. Neural coding and computation in biological vision: We aim to understand how our visual system encodes the visual world and decodes relevant information in a statistically or information-theoretically optimal sense to form our robust visual perception. Computational algorithms for artificial vision applications: We aspire to develop image processing and computer vision algorithms inspired by strategies from biological vision for enhancement of machine vision solutions and imaging systems. Our group belongs to University of Utah’s Department of Electrical and Computer Engineering in the School of Engineering, and the Department of Ophthalmology and Visual Science in the School of Medicine. 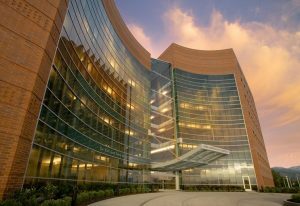 We are located in the Moran Eye Center on U of U’s upper campus in Salt Lake City, Utah.